On June 5th we started from Hotel Deepali, at Sagar, on our way to Hyderabad. 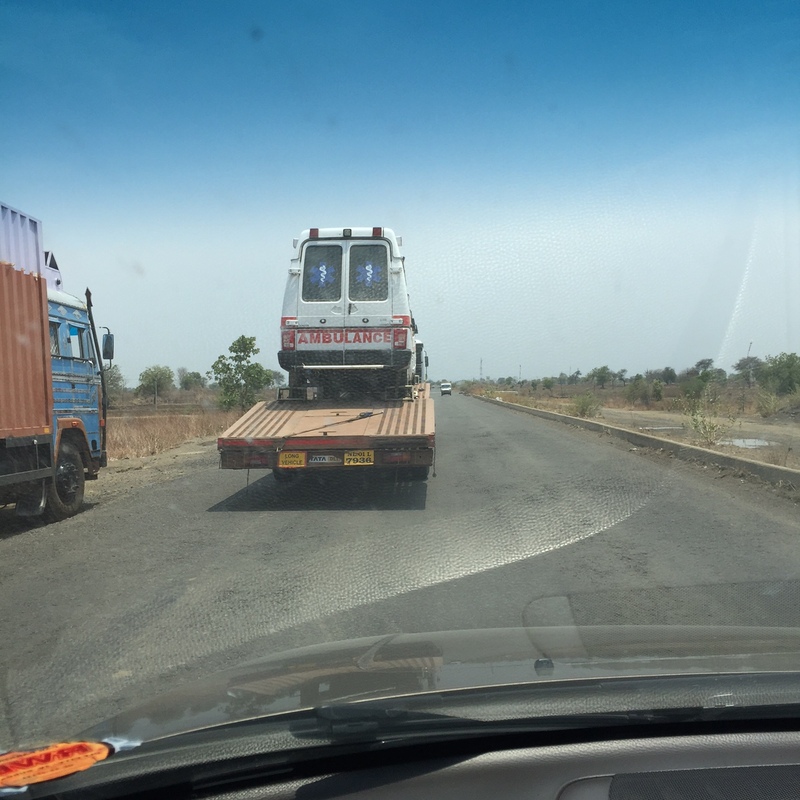 The route we follow is Sagar-Narsinghpur-Chindwara-Saoner-Nagpur-Adilabad-Nirmal-Hyderabad. This is a picturesque roadtrip especially the ghat sections in Chindwara. Beautiful forests and after some rains, its all green. The amazing road from Sagar till Narsinghpur. Four lanes of pure joy. We started at 5.10 am and would have started by 5 am if the billing clerk had not missed collecting Rs. 63 the previous evening. The sun is out by 5.30 am, not blazing but its broad daylight by 5.30 am in summers. We also have figured out the right turn onto and off the highway, so it was a breeze compared to the last few times when we would go further and take a “U” turn and then get off the highway. We reached our favorite tea shop, “Surya tea shop” at Partapur by 6.45 am. This time we managed to meet the owner of the shop who is a Hindi teacher at the government school in Partapur. We had tea and got the awesome samosas packed. The whole car smelt of samosas – they were so good. We stopped an hour later, and ate one each :). The route is so familiar now, that it seems shorter. 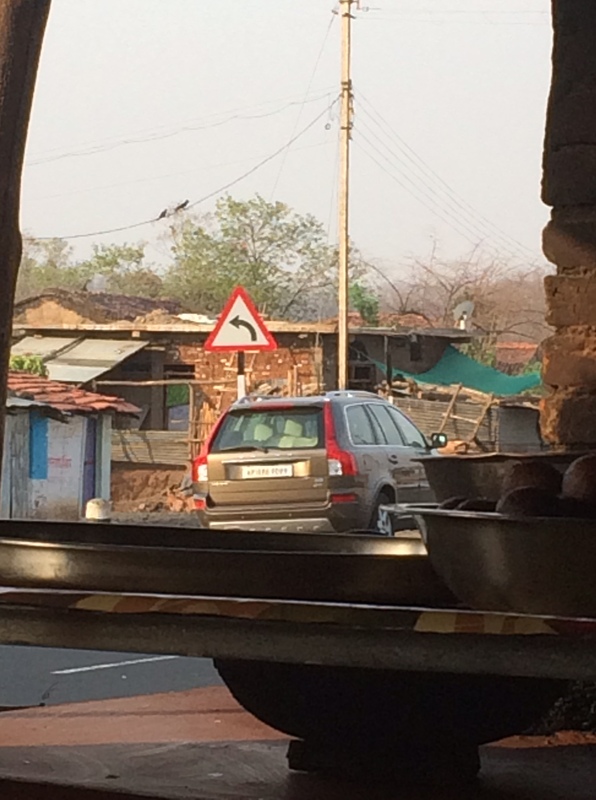 We reached Nagpur by 10 and stopped at the Bharat Petroleum fuel station opposite the Poonam Chambers building. We have filled fuel here everytime that we have crossed Nagpur – about 6 times already and the fuel pump attendants have started recognizing us. For us, Nirmal, geographically near Hyderabad, comes to Nagpur because of Nirmal Ji, the person who had the “In and Out” store at the fuel station. The store is under renovation but we have become friends with Nirmal ji and this time we went to his place, and had awesome tea and snacks. There is obviously some past life connection with Nirmal Ji otherwise how do you become friends with somebody after visiting their store a couple of times ? Yes, we stocked up on our favorite Bhelpuri from their store “Top Tip” Bhelpuri. It’s the best instant bhelpuri, just add water and you can eat delicious Bhel, introduced to us by Nirmal Ji. We bought it first during our March 2015 trip and since then have become fans. And we are slowly spreading the joy with everyone we know ! We started from Nagpur at 11.30 am and exited Nagpur easily since it was a Sunday and there wasn’t much of traffic on the flyovers. We got slightly slowed at Hinganghat since the flyover is “almost” complete but not operational yet. There was no train, so the gate was open and there is some patch-up job done on the service road that is being used. 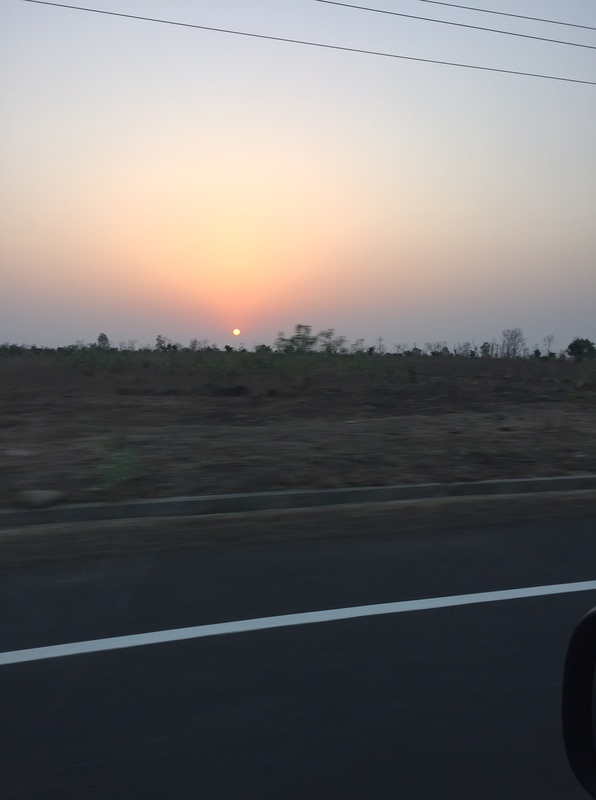 Actually from Hinganghat till we get onto the toll road at Adilabad, the going is relatively slow since the highway work has not been completed for many many many years now. We have been using this road since 2009, when the conditions were really bad. They have improved to a large extent since 2014 but still a long time away from being the world class roads that precedes or succeeds it. 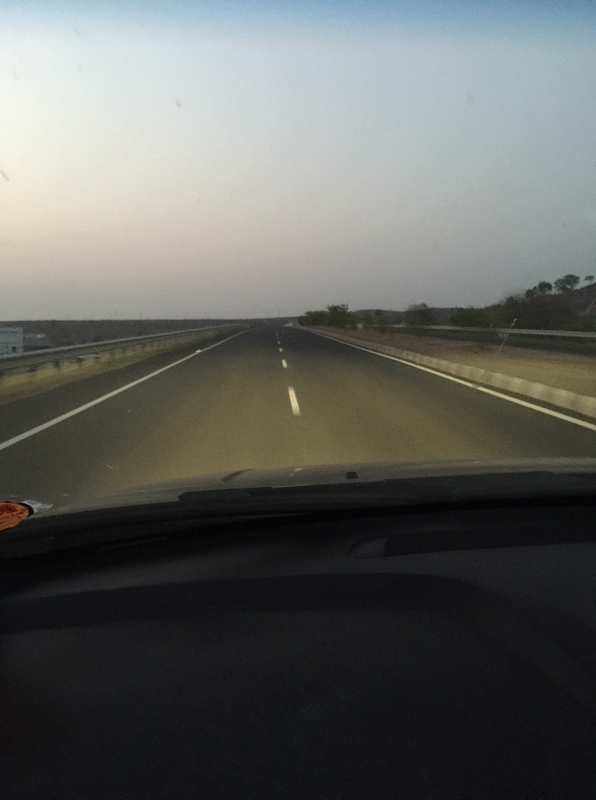 Reached Hyderabad by 6 pm…. And had to work hard right away to clean up the house. Rats had managed to enter from the bathroom and kitchen drain pipe and had ransacked the kitchen and the bathroom. Rat droppings were all over the place and it took us a couple of hours to just manage to clean up enough to make tea and lie down to sleep and fight the next day.